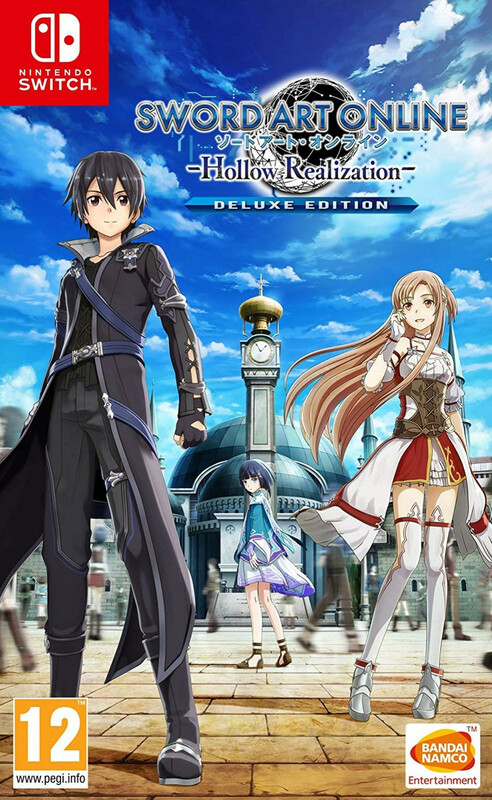 Bandai Namco Entertainment has announced that Sword Art Online: Hollow Realization Deluxe Edition will release in the Americas and Europe on May 24, 2019 for Nintendo Switch. The game will be digital-only in the Americas while the Europe release will have both physical and digital versions. The deluxe edition comes with the base game and all season pass content. This includes all 3 parts of the Abyss of the Shrine Maiden expansion and the Warriors of the Sky addition. Return to the world of Aincrad as Kirito and his friends are pulled into the Virtual Reality MMORPG called Sword Art: Origin, a game housed on the same servers that hosted the death-game Sword Art Online. However, this game is not quite the same one as he escaped years ago. You can check out a Japanese trailer for the Switch port below. Sword Art Online: Hollow Realization Deluxe Edition launches May 24 in the west for Nintendo Switch. It will also launch in Japan for Switch on April 25, 2019. Are you ready to explore the world of Ainground on the go? Unfortunately for players in the Americas, the game will only be available on the Nintendo eShop. However, the European release will have a physical version in addition to the digital release. If you would really like a physical version of this game, you can pre-order the European release from Playasia at the link below. Please note, the following is an affiliate which helps fund the site.